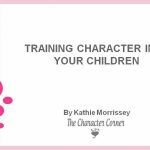 One of the MOST important things we can do when raising our kids, is train them in character. Character training should be purposeful, but as you will see below, sometimes it happens when we aren’t being intentional. 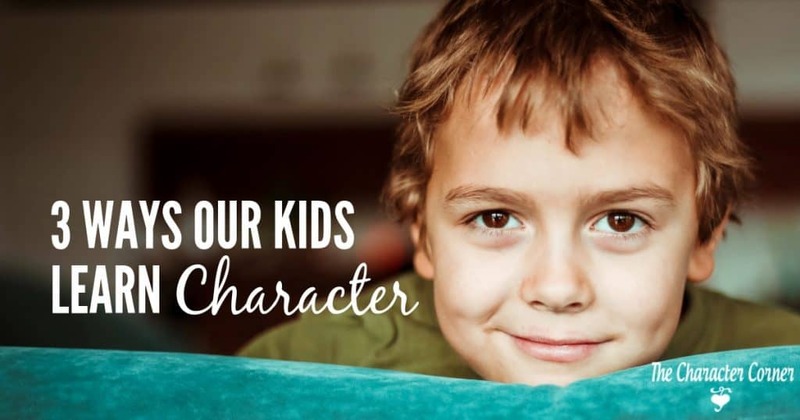 What are some of the ways our kids learn character? 1. Our kids learn character by example or social exposure. Our actions and words reveal to our kids what is really important to us. It is important to always be aware that our words and actions are influencing our kids and their character. When you allow wrong behavior to go uncorrected, or you set a bad example by your actions, you are inadvertently training them in negative character. Not only should we set a good example as parents, but we should also give our children Godly role models to look up to. Get them around people who are going to encourage them in the things that you are teaching them, and that set an example of good character and Godliness. We need to guard against the wrong influences that will undermine the positive examples or influences. We need to think through who or what we are allowing to be an influence on our kids. Be careful who you allow to watch your kids. Be aware of who your kids are friends with. Do you know what your kids are watching on TV? What kind of books are your kids reading? Be sure and stay vigilant about what or who is having an influence on your kids! Children are great imitators….so give them something great to imitate. 2. Our kids learn character through correction, training, and discipline. When I look back on the last 37 years of being a parent, I have to say that I didn’t always view wrong behavior the right way! Many times I would get frustrated or irritated when I had to stop what I was doing to go and correct a child. To me it was an interruption in the day. 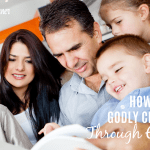 Thankfully, God opened my eyes to the incorrect view I had of wrong behavior in the kids. 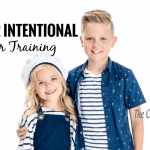 He helped me realize that every time my kids showed a wrong attitude, wrong actions, or wrong responses, it was an OPPORTUNITY for me to train them in Godly behavior and character. Our TOOL should be : God’s Word! 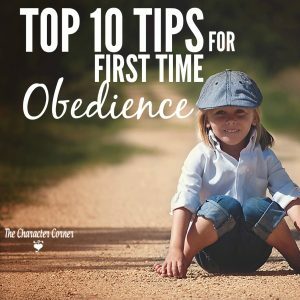 “Let’s go to God’s Word, and see what He says about the heart issue that is causing that behavior.” Or, “Let’s go to the Bible, and find answers to help you in this area.” If we want our kids to be like Jesus (which is what Godly character is), we need to use God’s Word as our guide to training and correction. I know it is easy to get frustrated on days where it seems like ALL you do is correct, train, and discipline. When you feel like that, take a deep breath, and thank God for another opportunity to train your kids in Godly character. 3. Our kids learn character through positive, constructive teaching. 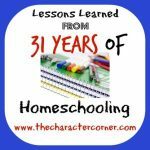 It’s easy to fall into the trap of thinking that our kids will learn character just because it’s important to us, and they live in our home. Maybe we even think they will learn some character at church. However, the bottom line is that it is our job and privilege as parents to train our children to be like Christ. 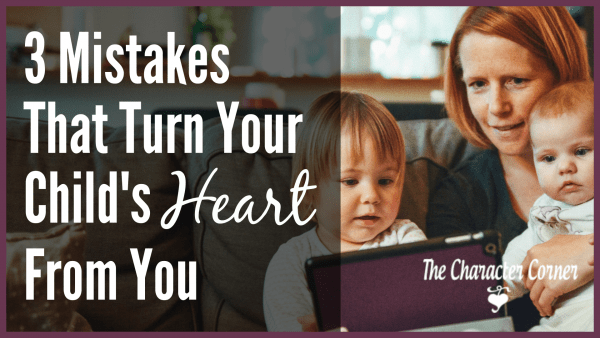 We need to be purposeful in our parenting! Often, we have many good intentions about things we hope to do with our kids, or things we would like to teach them. 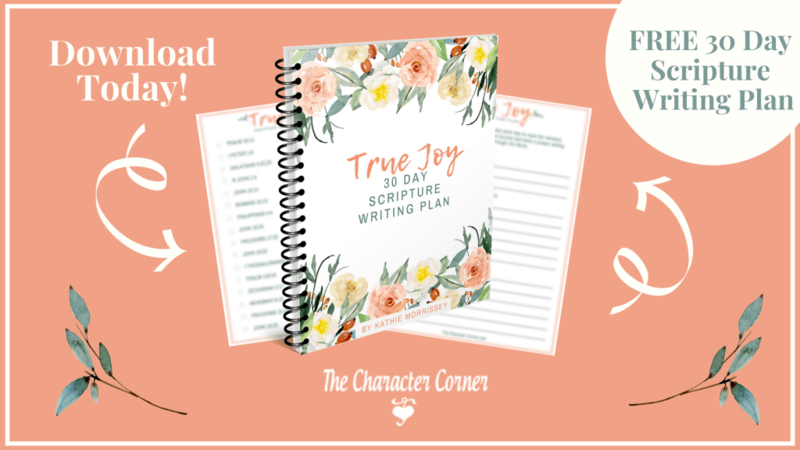 However, I have found that many of my good intentions were never put to action, because I failed to make a PLAN, as to when and how I would make it happen. 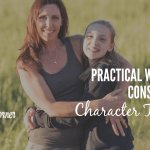 How are you being intentional about training your kids in character?